I know that there are many explanations as to why many Jews have this custom (to commemorate the fire at har sinai, etc. ), but where is the original source? Where originally did it come from? I have heard that it is an import from Christianity, but would love to see some actual sources on this. 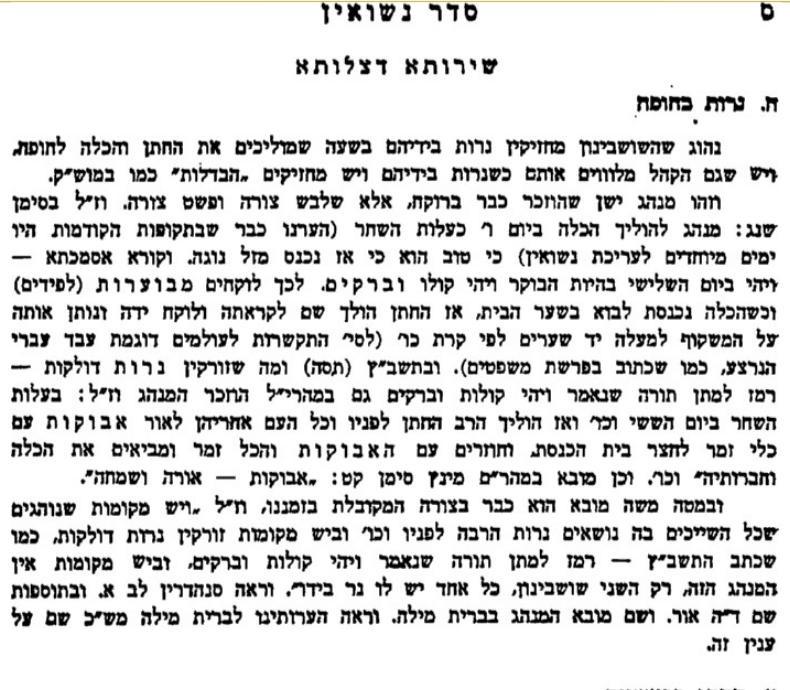 The Sefer Edus Yisrael brings many different sources ,and makes mention that this is a very old minhag and is already mentioned in the Rokeach. The earliest source that I have found of carrying lights at a wedding, is in the Sefer Ha’Aruch, by Nathan ben Yechiel of Rome (c. 1035-1106), under the entry "לפד" (torch), who mentions a custom “in the land of Yishmael”, of carrying TEN torches before the bride. Mateh Moshe (published in Kraków in 1591) is a highly cited halakhic work by Rabbi Moshe ben Avraham of Przemyśl. In his section a marriage customs (3:2) (London 5718, p. 344) he suggests reasons for carrying TWO candles, based on the numerical value of the Hebrew word נ"ר “Ner” (250). 2 x 250 = 500, corresponds with combined number of organs of a male and female, who are now uniting in marriage. In addition, 2 x 250 = 500, corresponds to the “gematria” of פר"ו ורב"ו (be fruitful and multiply), which is symbolized by the two candles. Not the answer you're looking for? Browse other questions tagged sources-mekorot minhag wedding provenance hukot-hagoyim .